The nomadic lifestyle of a 3D printsmith is made all the more difficult when it comes to carrying your 3D printer from town to town. Ultimaker has heard your lamentations, though, and has come up with a solution that promises to make transporting a 3D printer a little easier: a $69 pair of shoulder straps. 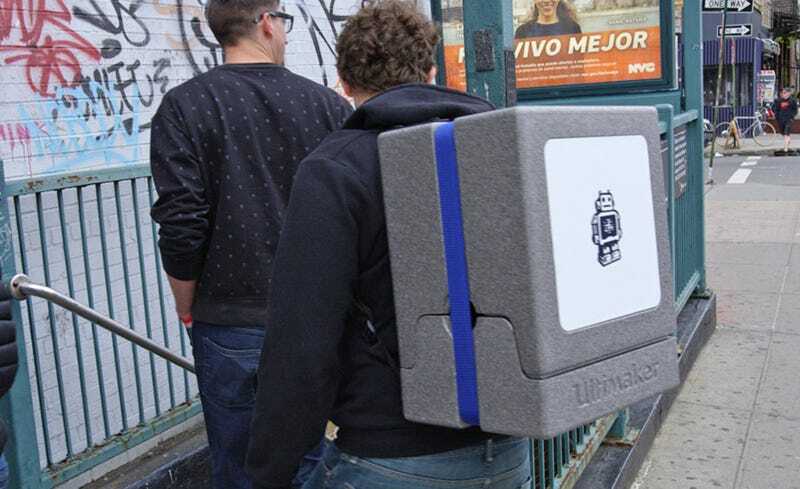 For the shoulder straps to actually work, you’ll need to have held onto your Ultimaker 3D printer’s packaging, as they essentially turn the foam block into a wearable backpack. If, in addition to your wallet, sunglasses, and smartphone, you can’t bear the thought of heading out the door without your 3D printer in tow (just in case) this might be a useful accessory. Might.